Muscle cars are our obsession. Nothing fuels our passion quite them. We never tire of seeing a classic GTO, Torino, or Charger that still runs and drives like the day it was new. Each of these cars has a unique story to tell. It could be about its creators undermining corporate edicts on engine size or sneaking around government regulations for increasing horsepower. 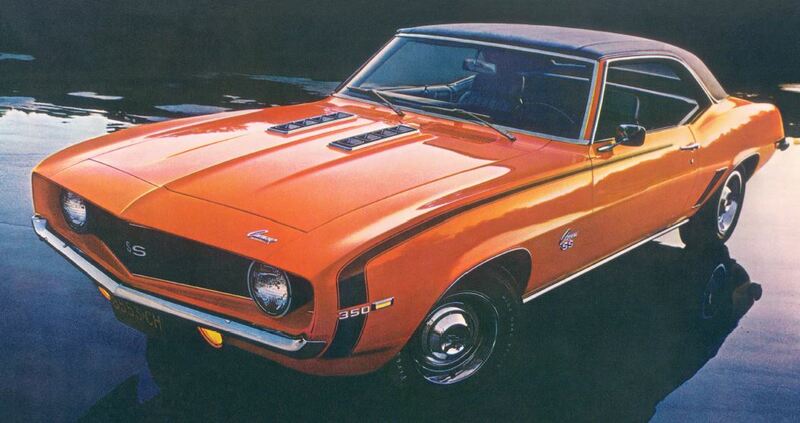 The following are some of our favorite classic General Motors muscle cars. 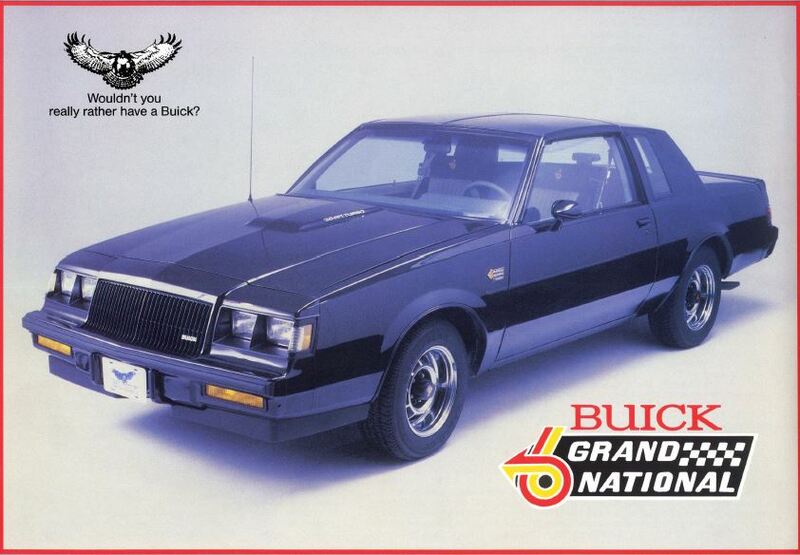 If you ask any muscle car aficionado his favorite muscle car from the 1980’s, he will likely say the 1987 Buick Regal Grand National. With 276 turbocharged horses, this was one of the few cars that gave Corvette owners anguish at the stoplight. 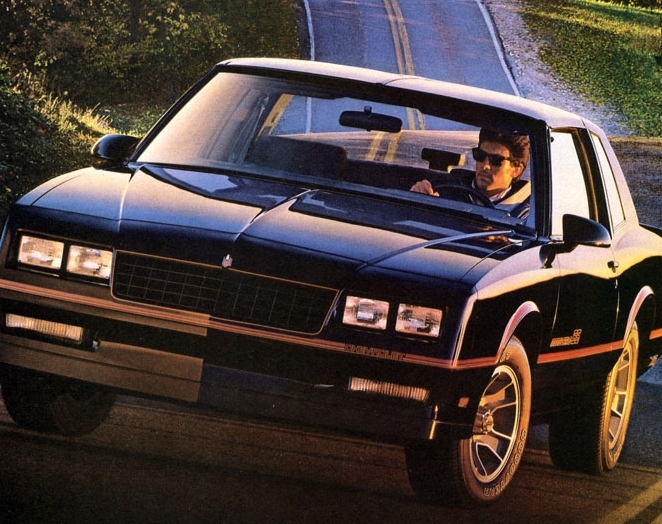 Adding insult to injury, the price of a Grand National was roughly half of the Corvette. Not since the 1970 Stage 1 Gran Sport or GSX has a Buick caused such a stir on the street and strip like the Grand National. For those needing an introduction, a documentary about the Grand National called Black Air was released in December 2012 on DVD. Sweet spot: Find one of the rare ASC/McLaren GNXs. Since only 547 were produced, finding one could be a challenge. If you do find one, be ready to shell out some major dinero for one in good condition. COPO (Central Office Production Order) Camaros are considered by many to be the ultimate Camaro. You basically had to know a dealer who knew how to order one of these rare Camaros. This was the Camaro to have if you wanted to send the Ford and Dodge boys home with their tales between their legs. Equipped with the 425 horsepower 427 cubic-inch engine, this bad boy could sprint the quarter mile in 12 seconds. This car was built for speed and not for looks. COPOs came from the factory with no-frills painted wheels with dog dish hubcaps, spartan badging, and few interior appointments such as air conditioning. If there ever was a car that could be called a wolf in sheep’s clothing, this is the one. Sweet spot: If you bought one of these cars a few years ago, it has probably gone up significantly in value. COPOs nowadays can sell as high as $450,000. 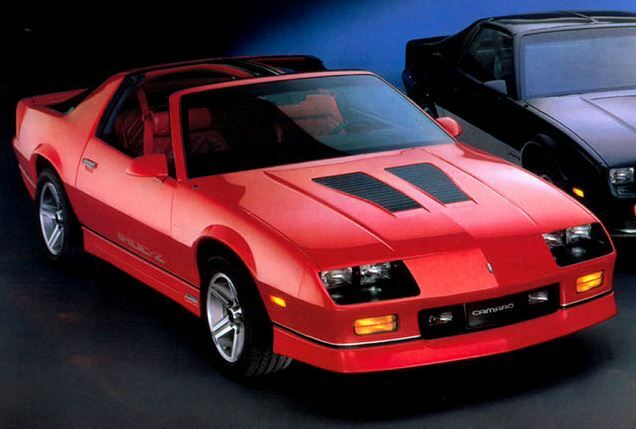 With the introduction of the IROC-Z in 1985, Chevrolet finally injected some excitement into the third generation Camaro. Multi-colored body graphics, black hood louvers, and 5-spoke wheels gave the IROC-Z an aggressive posture. A 225 horsepower tuned-port 350 cubic-inch engine coupled to a 4-speed automatic transmission helped back up the bravado this Camaro exuded. Buyers looking for an extra dose of performance should look for the 1990 model with the 1LE package. This bag of tricks consisted of goodies such as 4-wheel disc brakes with 12-inch front rotors, engine oil cooler, and a 3.42 positive track rear end. Sweet spot: Cruising the boulevard in an IROC-Z is fun. Hitting the streets in an IROC-Z convertible is twice as nice. After a 12 year hiatus, Chevrolet reintroduced the Monte Carlo SS in 1983. It was a hit with the muscle car and NASCAR crowd. In 1986, Chevrolet introduced the limited production Aerocoupe. This car was created to satisfy the NASCAR minimum of 200 production models available for sale to the buying public. The “Race it on Sunday, Sell it on Monday” car featured an aerodynamic rear sloping window, shorter trunk lid, and flatter spoiler. In 1988, the Monte Carlo SS ran its final lap around the track and, once again, became part of muscle car history. Sweet spot: Monte Carlo SS Aerocoupes tend to fetch higher prices due to their scarcity. Only 200 were built in 1986 and 6,052 in 1987. One look at the Hurst/Olds and it’s unmistakably evident this is not your Mom and Dad’s Cutlass. The bright white paint with gold stripes is exclusive to the Hurst/Olds. The twin hood scoops stand tall and feed this brute’s 455 V8 with fresh air. The rear decklid spoiler stands tall and captures the attention of the drivers of the Ford Fairlane Cobra and Plymouth Road Runner that just got left behind at the stoplight. This car definitely helped Oldsmobile close out the 1960’s on a high note. Sweet spot: If you want attention, you’ll definitely get it when driving this big block beast. For 1966, Pontiac gave the GTO flowing body arcs and an updated grille and tail lights. The GTO finally started to look like a muscle car and not some gussied up Tempest. Buyers took notice and snatched up over 96,000 Goats that year. This is also the year the GTO became a separate model and not an option package. John DeLorean and his cronies had definitely set the wheels in motion (no pun intended) on the muscle car wars when they created this brute just two years earlier. Sweet Spot: There’s nothing like opening the hood and seeing the 389 cubic inch V8 with the optional Tri-Power carb setup. This would be the last year for this 360 horsepower option and it’s very desirable among collectors. 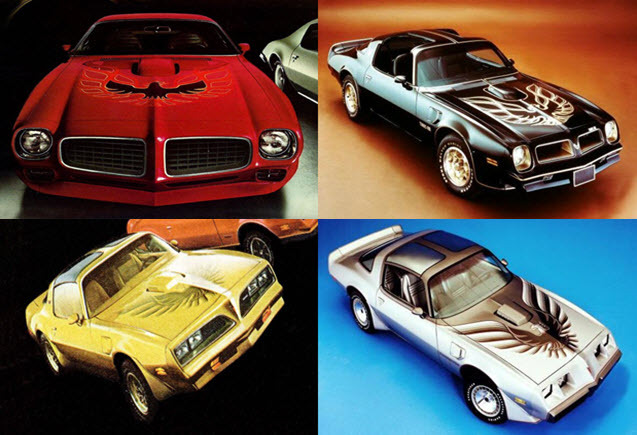 For drivers that wanted something more from the Firebird, Pontiac created the Trans Am Performance and Appearance Package. For a little over $700, drivers got a car painted in Polar White with blue stripes, rear spoiler, and Ram Air 400 cubic-inch engine with 335 horsepower. For a little extra pizazz, buyers could opt for the hood tachometer similar to the one available on the GTO. Sales were a little cold on its initial year of availability for this bad-tempered coupe. Only 689 coupes and 8 convertibles left the factory in 1969. Sweet spot: A 1969 Trans Am convertible can sell for well over a million dollars at auction. It’s difficult to pick just one second generation Trans Am as a favorite. There are just too many great examples to choose. Standouts include the 1976 Pontiac 50th Anniversary Edition, the 1977 and 1978 Special Editions, and the 1979 10th Anniversary Edition. However, if we had to choose just one, it would be the 1973 455 Super Duty. This is one of the rarest and most sought after Trans Ams ever built. Conservatively rated at 290 horsepower, only 252 of these tire shredders were built for the 1973 model year. Due to their collectability, Super Duty prices can sometimes hit the six figure price range. Sweet Spot: Be on the lookout for the Y88 Gold Special Edition from 1978. With its bright gold paint and honeycomb wheels, it’s quite an attention getter. The LeMans Can Am was a bit of a mutt among Pontiac’s lineup for 1977. It used the Trans Am’s W72 engine, the Grand Prix’s dashboard, and was converted to a Can Am by specialty car maker Motortown. 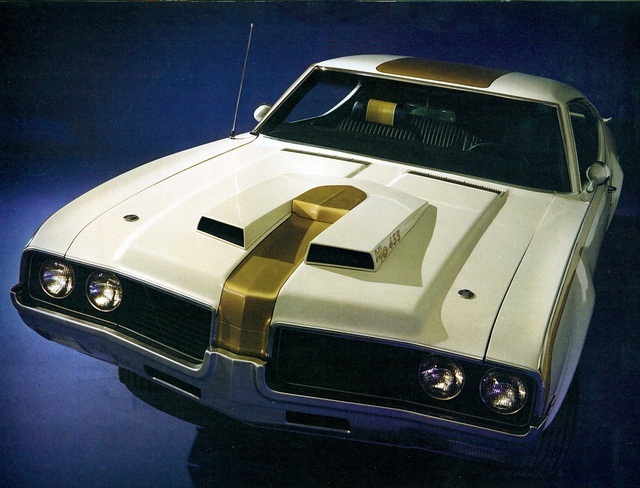 Painted in Cameo White and adorned with tri-colored striping, hood scoop, and ducktail spoiler, the Can Am gave buyers an alternative to the Trans Am. The Can Am showed what was good and bad at Pontiac at the time. 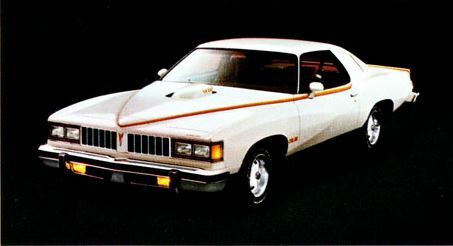 It was good to see Pontiac put out such a radical car during the 1970’s Malaise Era. However, Pontiac supposedly stalled production on the vehicle due to a broken rear spoiler mold. Even with orders in excess of 5,000, Pontiac pulled the plug on this fantastic A-body. Sweet spot: Anyone that has one of these rare cars should probably hold on to it. With fewer than 1,400 built, their value will only increase. Most auto collectors consider the 1970 A-bodies as General Motors’ crown jewels in 1970. This was also the year GM lifted their self-imposed ban on engine displacement greater than 400 cubic inches. The good news was that buyers could now get even more horsepower from these full-size coupes. They didn’t have to go buy the Yenko Chevelle or the Royal Bobcat GTO to get big block displacement anymore. The bad news was that the insurance companies were starting to charge higher premiums on muscle cars. As a result, sales on these tempests were down from previous years. It wouldn’t be long before these models were being traded for more fuel efficient cars like the Vega and Ventura. 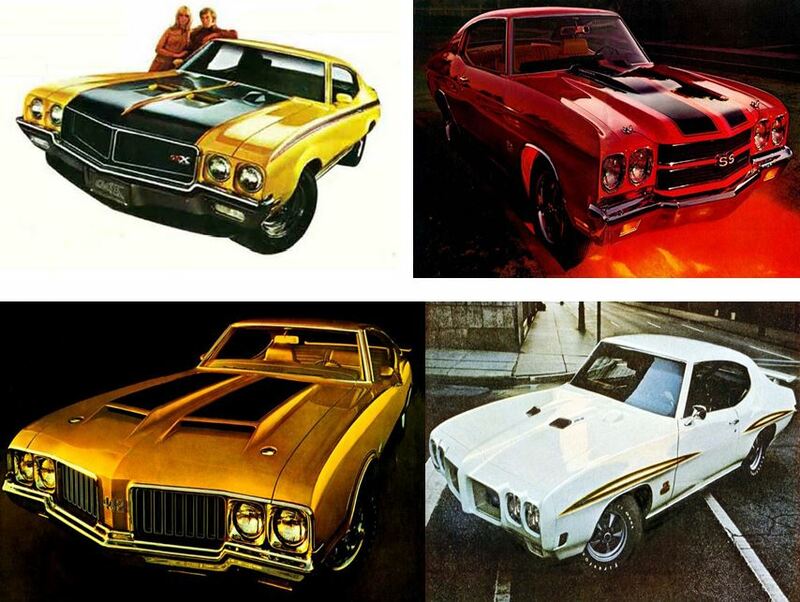 Sweet spot: The A-body cream of the crop for 1970 is the Buick GSX, Chevrolet Chevelle SS 454, Oldsmobile 442 W-30, and Pontiac GTO Judge. If we had the garage space and tens of thousands of dollars in disposable income, we would probably have several of these cars in the garage. At least we could use the excuse that they will only increase in value and give us a substantial return on my investment.